: If you are a PraHost customer, you can make use of the Green Fan Partner Program's logos on your website to promote your environmentally IT policies. AMS-01 is an ISO 9001 accredited secure and spacious data center with more than 9,000 square meters data floor area backed up with outstanding connections. 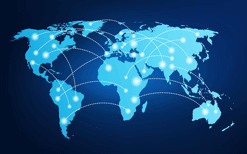 For PraHost customers, this data center offers extremely well and superior growth opportunities. AMS-01 has the capability to expand easily to 40000 square meters which is approximately 431,000 square feet. Its infrastructure consists of dual generator sets, autonomous A+B power supplies and UPS backup battery that facilitate superb growth to LeaseWeb customers. The current capacity of UPS backup battery is 20MW which can be expanded to demand power of 40-80MW. 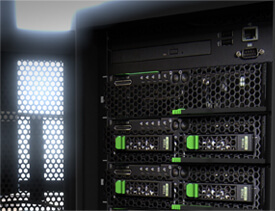 For more information on AMS-01 data center, you can visit EvoSwitch website online. If you are a PraHost customer, you can make use of the Green Fan Partner Program's logos on your website to promote your environmentally IT policies and show that you use a data center that is climate-neutral. 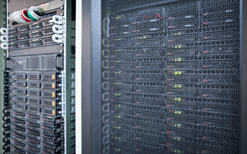 AMS-01 is a data center that believes in adopting all the green amendments. It makes use of green energy along with significant energy savings and investing in green projects around the world thus making its operation fully CO2 neutral. 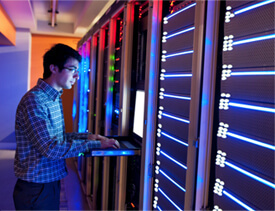 In 2009, German Federal Ministry issued a report in which AMS-01 was described as one top energy saving data centers. As, a Green Grid member, AMS-01 continuously exploring the new ways for betterment of energy efficiency within its datacenter environment. For maximum structural integrity as well as protecting valuable infrastructure of customer server, AMS-01 has been protected by fire resistant walls, designs and VESDA fire suppression system.